From the beginning, in Genesis, God declared He specifically created the sun and the moon to be used for signs. These heavenly bodies would be used as signals of coming dramatic historical events when the Creator of the universe would intersect with human history. But how do we unlock the code to interpret the signals? 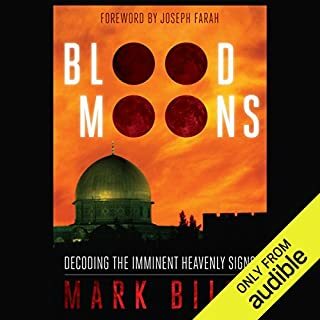 The key is found in the riveting new audiobook Blood Moons by Pastor MarkBiltz. I can't believe I forced myself to finish this! 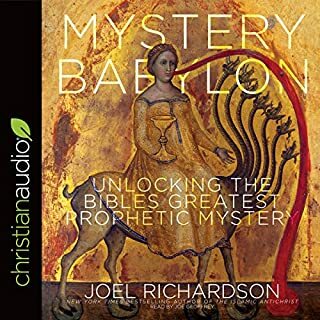 Unlock the prophetic significance of the biblical feasts! The Feasts of the Lord have powerful and prophetic significance to God's people, both Jew and gentile. Each feast is a picture of Jesus the Messiah and represents one of seven phases of spiritual development in your life. 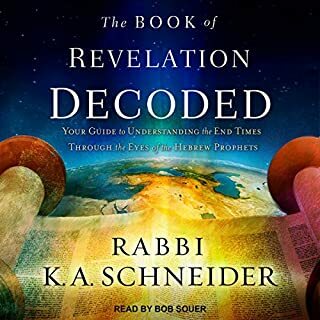 In this intriguing and biblically sound study, Dr. Richard Booker takes you on a revelatory journey through the Bible, showing you how the ancient biblical feasts are relevant for your spiritual growth today. God loves to play hide and seek, and for those who search for him with all their hearts, he makes himself known. God's Day Timer provides the biblical keys that unlock hidden treasures just waiting to be discovered. Author, teacher, and pastor Mark Biltz offers tremendous insight into being in touch with God. In Genesis, the Hebrew word for seasons is translated in Leviticus as feasts. A better translation is divine appointments. God tells us that the sun and the moon are to be used to determine when the divine appointments occur, which is critical to understanding when God will intersect human history. 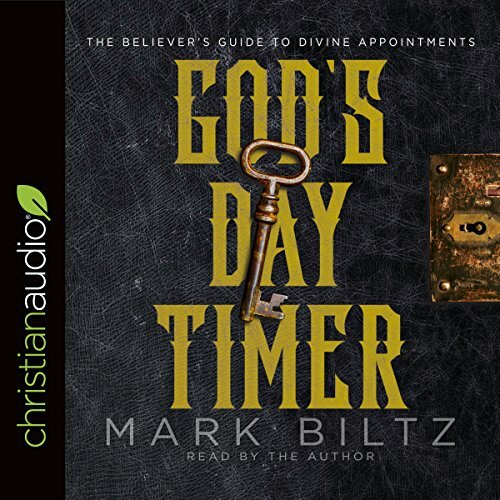 In God's Day Timer, Pastor Biltz breaks down the divine appointments, or seven feasts of the Lord, to make it easy to understand for beginners and explains how to keep the Sabbath and get on God's schedule to better understand His timing and the signs of the coming events. Discover the importance of keeping the Passover and Yom Kippur among the other feasts. Learn how to perform a weekly Shabbat. Find out the various steps of administering a Seder dinner. Realize why it is vital for Christian believers to be on the biblical calendar. Very informative. Love the narration also--the author is enthusiastic, and even very funny at times!! This book inspired me to buy a Hebrew calendar online. 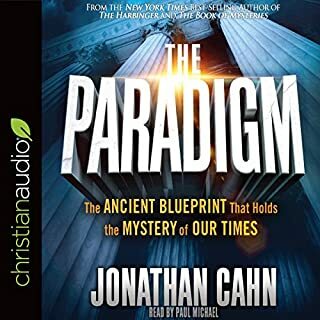 Not only because I feel the author raises a good point about it being wise and beneficial for Christians also to KNOW and to follow God's calendar, but I also wanted to plot past and current events to better understand the significance of the feasts, and other Biblical events and patterns. As the author said, although the Lord instructs us NOT to set dates, He said we should be aware of the times and seasons, and stay prepared. I highly recommend this book. I have always craved to know God; not just the milk but the meat. God promised us that if we seek Him we shall find Him. I continually pray for God to choose my studies of His Word and His Torah. In these last days as He also promised that knowledge would increase, the only knowledge I want is of Him. All that said to say, I have now completed two studies authored by Mark Biltz and have watched at least one of each of the archived Spring and Fall Feast celebrations from his website. 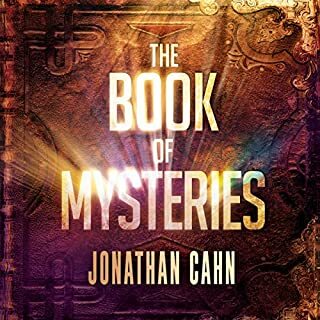 With his teachings, along with several other studies interwoven, a whole new and exciting revelation of Christ throughout all of Scripture has ignited my relationship and anticipation of The coming of my Yeshua, my King! I have never truly been taught the relationship of the gentile to the Feasts, which always seemed on the peripheral for us and holy only unto the Jewish nation. I am now seeking confidently to live on Gods calendar. Thank you for your teaching and the absolute joy in which you pursue and present it. This is one of the most mind blowing books I've read/listened to in the last few years. Really good. A MUST READ for all eschatology buffs!! I have always enjpyed Mark Biltz and this book was exactly what my heart needed. Vitally Important to EVERY Believer! The BEST insight and teaching I have ever heard! Thank you, thank you, thank you! Daniel F. Van Der Werken, Jr.
Mark did a great job reading his own book with exuberant enthusiasm. The information was well researched​ and truly eye opening​. I learned a great deal about God's special days. 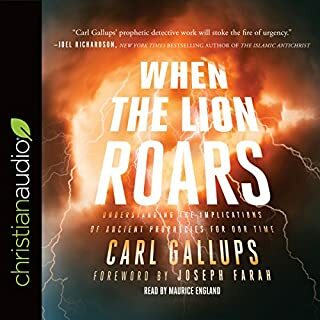 going to listen again and take notes there is so much information. I am grateful that Mark shared his knowledge, I now have a better understanding of the feasts and the times they were celebrated and why we need to get back on God's calendar. A definite "MUST READ"! Get on God's daytime. This book should be a "must read" for everyone, especially Christians!!! I love it! I learned so much! I thoroughly enjoyed learning the Hebraic in depth teachings from Mark Biltz in this book where he went into great detail brining out the richness, depth and beauty of God's feasts! I thoroughly enjoyed this book, its clear outline of God's appointed seasons and days, their significance, historical background & how to observe them. I also prefer hearing the author reading their own book. I highly recommend this book to anyone who wants further understanding on this important subject in these endtimes.